To learn more about Adelphi University's M.A. in Art Education degree program and download a brochure, fill out the fields here. You can also call us toll-free at 888.252.4110 to talk with one of our graduate enrollment counselors. The M.A. 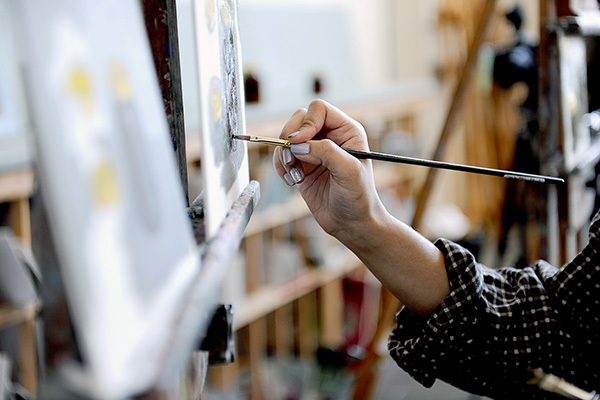 in Art Education uses a unique blend of artistic studio practice and contemporary teaching approaches to prepare students to become successful art teachers who cultivate the rich connections young people can make through art. The program is an ideal fit for those who have honed their art skills and want to earn the visual arts certification required to teach art at the K–12 level. This art education master’s program offers innovative scheduling that enables students to take nearly all of the required courses fully online, so students can earn their graduate degree without putting their professional or personal obligations on hold. To learn more about Adelphi University’s online M.A. in Art Education degree program, use the form provided and download a free brochure.